It’s time for another Fab Friday! If you’re new to Fab Fridays, it’s a weekly post of things, events, products or ideas that I’m loving this week. Feel free to add any feedback or additional things that you’ve discovered or have been loving lately! 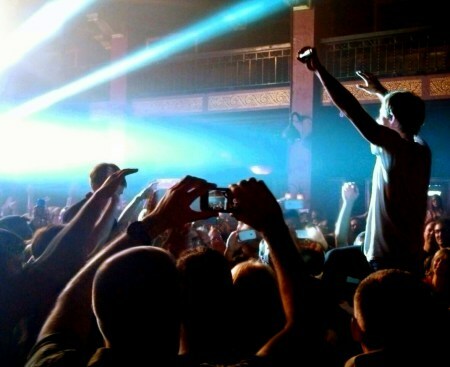 Jay and I attended a Switchfoot concert in downtown Milwaukee last weekend, and loved it! I’ve listened to Switchfoot since high school, but have lost touch with some of their recent music. They played songs off their latest album Fading West, and they sounded awesome. I will definitely be checking out that album soon! This is a simple app on my phone that I use everyday! It’s a one-year Bible reading plan that I can access straight from my main screen. You can choose the start date, mark readings off as “completed,” and track how far ahead or behind you are on your readings. Yesterday I subbed 8th grade Graphic Arts, and the teacher had me show a movie all day. When I started this gig, I thought movie days would be easy, but I’ve learned that I’d so much rather teach! Not only do I enjoy teaching, but a movie + a sub = very rowdy kiddos. The movie of choice was Finding Nemo, and I had forgotten how great that move is. I enjoyed watching it yesterday. The first three times, that is. 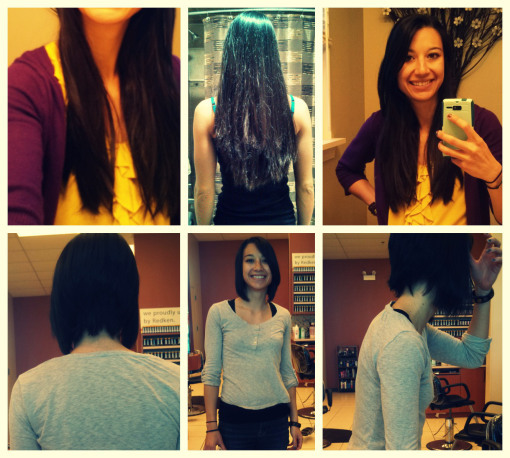 Earlier this week I donated 14 inches of hair! Small talk at the salon sent me researching the organization, and I learned a lot about Locks of Love and the hair pieces they make for disadvantaged, pediatric cancer patients. I love organizations that make a difference in the world, (such as Compassion International, Goodwill, and my chiropractor), so I was happy to donate my hair! Well, that’s it folks! Happy Friday to you, and enjoy your weekends!